How To Write An Analytical Essay And Get An A? If you encounter an analytical essay format for the first time, you might be tempted to fall into the old habits and create a summary or a description of an issue, a work of art or an event. Doing so, however, will not get you a high grade, as the assignment requires a different set of skills. 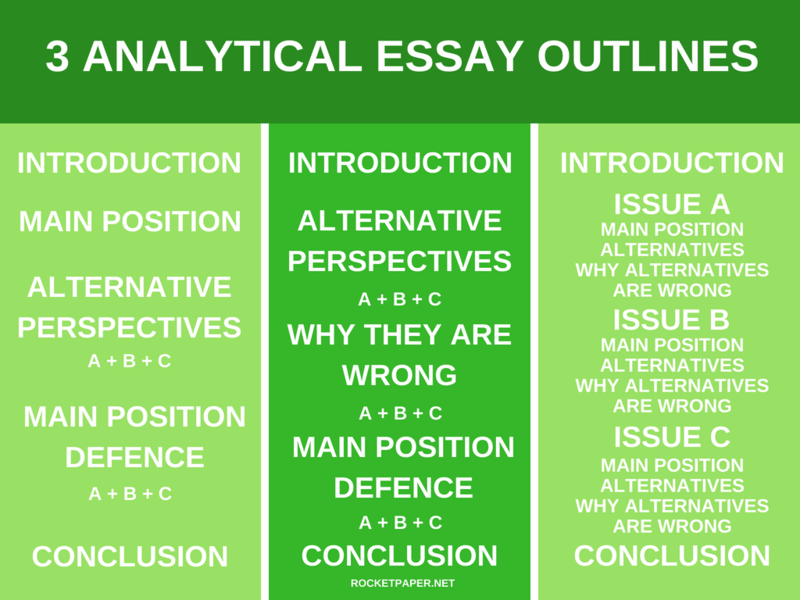 To prevent you from failing classes, we’ve created this comprehensive guide to explain the critical points of writing an A-worthy analytical essay. Among the prewriting steps, developing an outline is the most critical for success. Though many students hate wasting time on planning, creating an analytical essay outline can save you hours and days of work. Instead of stumbling in the dark and trying to make sense of unrelated ideas, with a comprehensive plan you will get from a blank page to a complete essay in no time. The type of outline will depend on your academic level. The basic structure remains the same for high-schoolers and college students. Three major parts include an analytical essay introduction, a body, and a conclusion. The first and last paragraphs are similar for all academic levels, the main differences lie in the body paragraphs. In high school, you can rely on a tried-and-true five-paragraph structure with three central claims making up the body. In college, professors will expect a more in-depth analysis. You will need to address primary arguments and supporting evidence. Structure your analytical essay around refuting alternative positions and convincing the readers of your knowledge and expertise in the discussed field. To develop a strong essay outline, review the primary and secondary sources, taking copious notes. Take time to highlight the quotes you might use as evidence to support your claims. Once you see the big picture, brainstorm ideas appropriate for an analytical essay format. Choose the position you are comfortable with and develop a thesis statement. It should clearly state the problem and your stance, and the major arguments you want to make. For high-schoolers, a thesis should be a single sentence, while college students can make it longer. Pro tip: If you wonder how to write an analytical essay to get an A, start with a powerful thesis. Each argument and claim should bring your readers back to the thesis statement, making your writing cohesive and seamless. It will be challenging to tie unrelated issues from different paragraphs into a thesis if you go about writing backward. Before you sit down to write your analytical essay, read the assignment carefully. Look for key verbs that will explain the objectives of the paper. If the professor wants you to analyze or expand on particular topics within the original work, that's what you should concentrate on. Many students get bad grades because they fail to understand the assignment and do not meet the professors’ requirements. The first step is always the most frightening one. That's why you don't have to start with an analytical essay introduction. Leave it for when you have already written the body and conclusion. By then you will have a clear understanding of how to attract your readers' attention and hook them to keep reading until the end. An excellent analytical essay introduction should comprise a hook, a thesis statement, and a transition to the first argument. Each of the body paragraphs should contain a topic sentence, a claim, a few pieces of evidence, and an analysis. Tie each topic sentence to the thesis. Make your claim and support it with examples from primary and secondary sources. To keep from summarising and paraphrasing the original work, always analyze examples before transitioning to the next claim. Pro tip: There are dozens of arguments you can make to support any position you choose. However, you don't have to cover them all in your essay. Instead, list them all and pick the most powerful ones. This will make your analytical essay sound profound and convincing. An analytical essay conclusion is easy to write after you have analyzed the primary and secondary sources and written the body paragraphs. Repeat your thesis statement in the conclusion without copying it word for word. Remind the audience about the significant claims you have made and cover the overall impact of the discussed issue. Include any final thoughts you have in the couple last sentences. Like a good ending of a movie, an analytical essay conclusion should answer all questions and leave the readers satisfied. Editing is not optional for a high-quality analytical essay worthy of an A. Do not submit your work the minute you have completed it. Put it away for at least 2 or 3 hours or better yet a day. 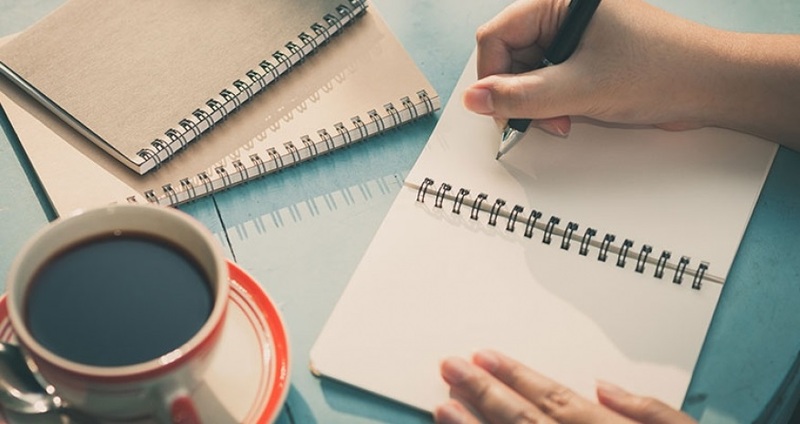 Come back to your writing with fresh eyes and a refreshed brain. First, review the arguments and claims and ensure they are logical and interconnected with the thesis. Ruthlessly delete any redundant ideas and examples if they do not add to the general purpose of the essay. After you are satisfied with the content of the essay, move on to proofreading. Use specialized software to ensure you don't miss any typos or errors. If possible, get a second pair of eyes on your paper to check for errors you might have missed. Pro tip: Read the whole paper out loud to catch long and complicated sentences and any phrases that sound weird. Any part of the text hard to pronounce will be challenging to read and follow. Now you know how to write an analytical essay worthy of the highest grade. However, some students get stuck on the choice of the topic. If you are one of these unlikely souls, check out our extensive list of analytical essay topics. There are sample topics for different subjects so even if you don't find the one you would like to study you can model one of the topics and make it your own. If you are in trouble, and the submission deadline is tomorrow, contact our professional writers. They can accomplish an A-worthy analytical essay in under 6 hours and save you from failing the class.